Now that it’s getting warmer outside, our local farmers markets are coming to life. We are fortunate to have access to fresh fruit, vegetables, meat, dairy and bread on Saturdays at the Del Ray Farmers Market and Sundays at the Four Mile Run Farmers and Artisans Market. I like to plan at least one meal on the weekend with just farmers market bounty. 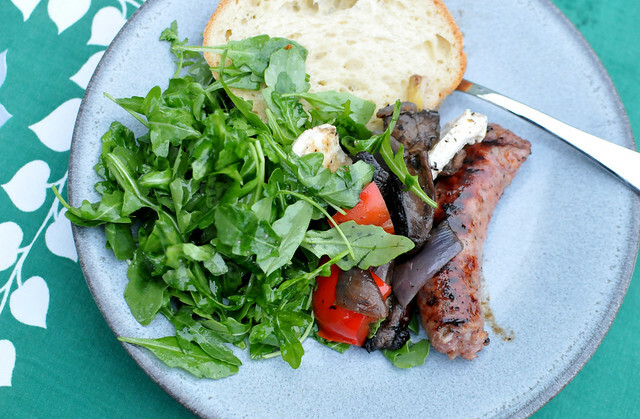 This one’s a staple in our house: Grilled sweet Italian sausages; grilled or roasted red peppers, onions and mushrooms; fresh mozzarella cheese; a simple garden salad; and sliced bread. Don’t eat meat? 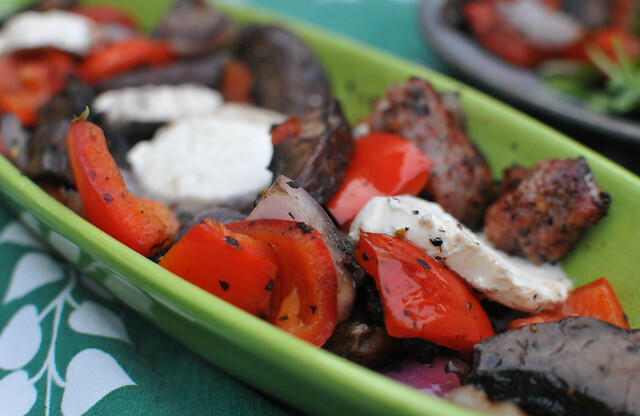 Skip the sausage, the vegetables are hearty enough on their own. 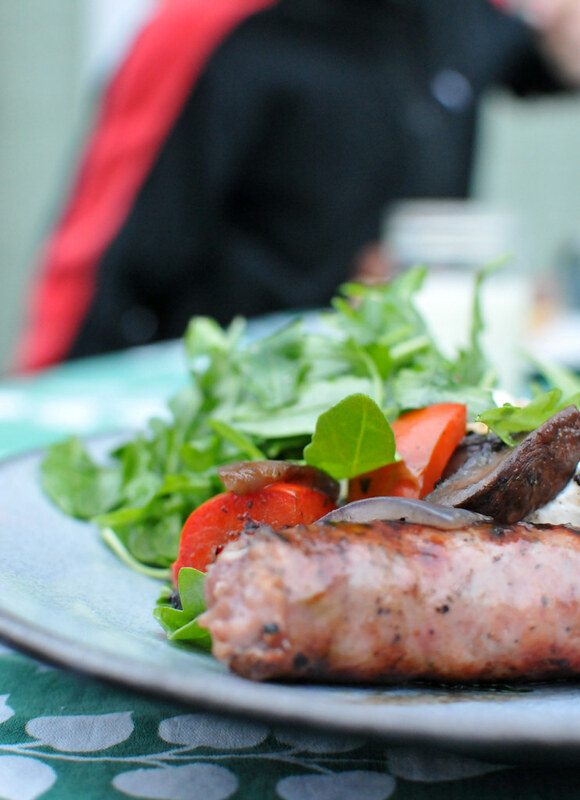 What are you cooking from the farmers market this time of year?